In case you’re wondering, I still love my NutriBullet ( I first told you about it here). Judging by the questions I am asked and the popularity of the NutriBullet posts, it seems you all love yours out there too! One of the questions I get asked quite often is what I use the milling blade of the NutriBullet for. So, I thought I would share some of my favourite uses of this blade.Chris just wrote a great post about her Magic Bullet, which also comes with a milling blade. So, some of these could be tried out in that bad boy as well. When I first got my Nutribullet, the milling blade sat unused while I blasted away using the extractor. But, I have found some great uses for the milling blade and I find myself reaching for it more often. 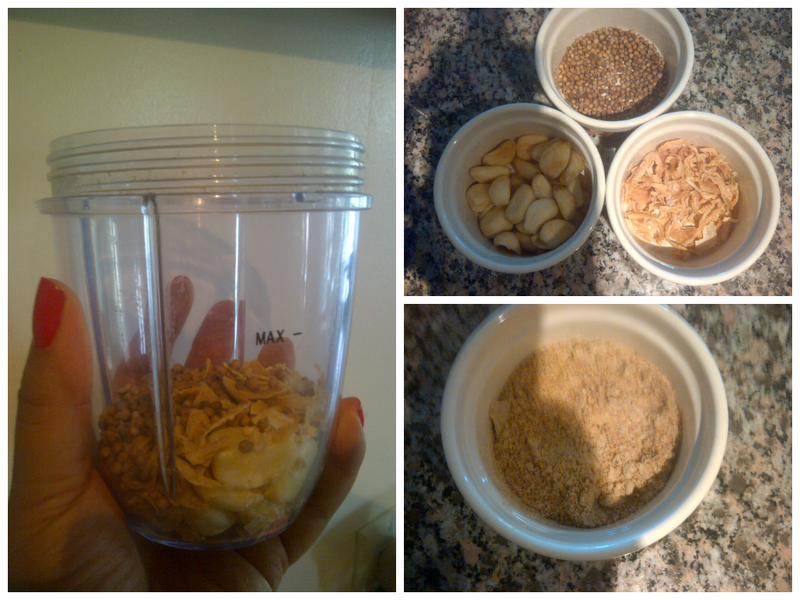 In my original introduction to the Nutribullet, I mentioned that I used my milling blade to make a powder of high protein nuts and seeds. This is still my favorite and most frequent use for the blade. 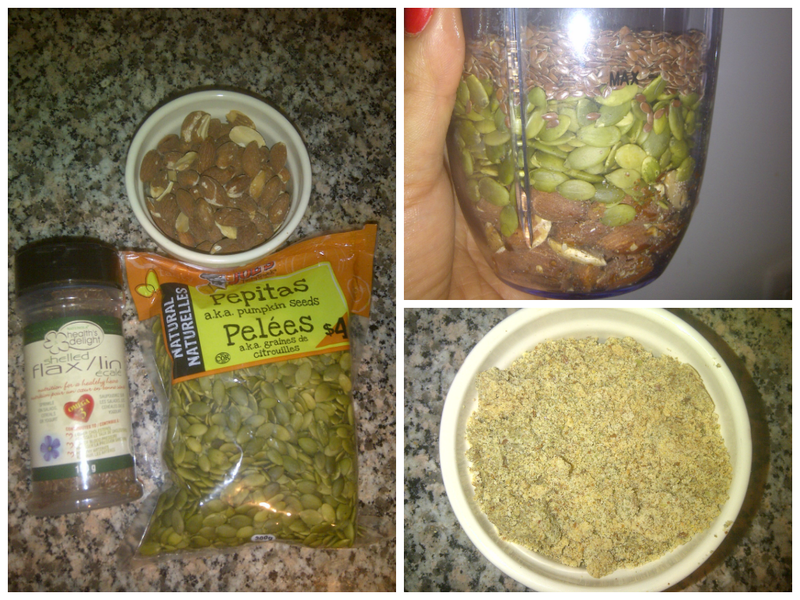 I blast some almonds, flax seeds and pumpkin seeds to create a fine powder. I keep this stored in my refrigerator so that I can add it to smoothies ( it also helps to thicken them) , or sprinkle over meals to increase their protein. How about creating your own custom spice blends? I have used my trusty NutriBullet milling blade to create tasty blends of the flavours that I enjoy. This can also be made with dried lemon peel. 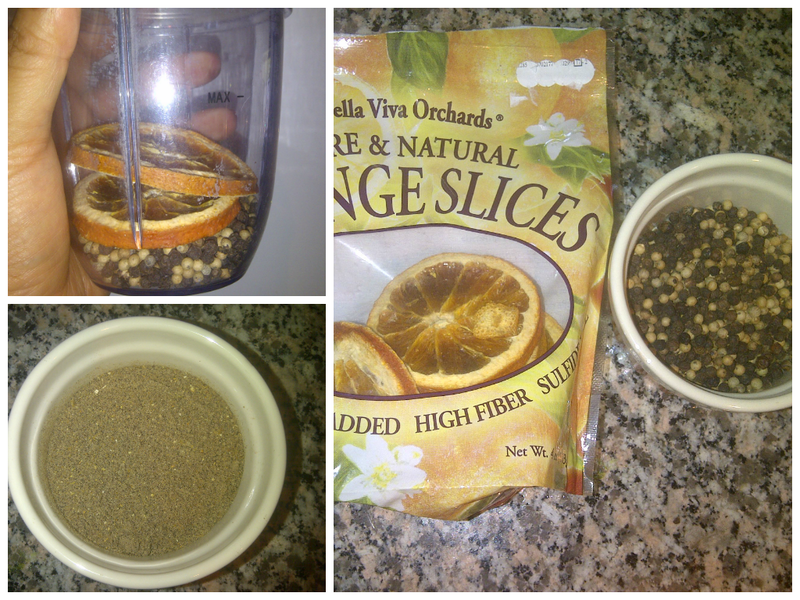 I blasted some dried orange slices with some peppercorns to make my very own orange pepper. Really tasty on pork or salmon. 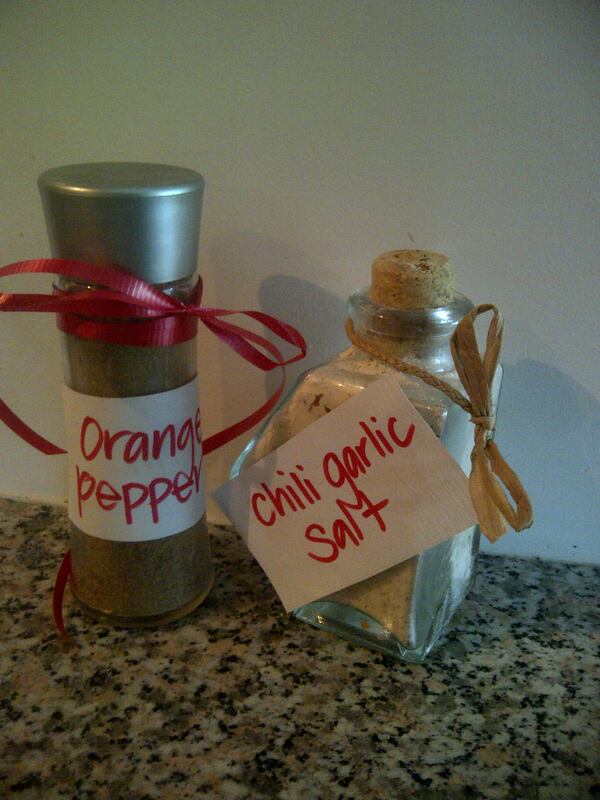 I have also been experimenting with flavoured salts . here is one of my favourites. 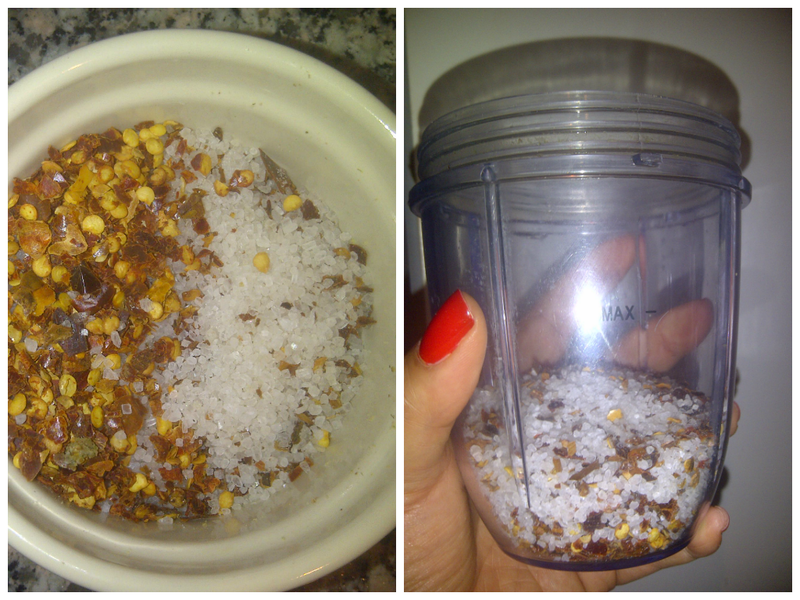 I put coarse sea salt into the NutriBullet with some chili flakes. Then after blasting, I decided to kick it up a notch with some dehydrated garlic cloves. This is delicious on anything , really. I love it on popcorn! You can throw together any of your favourite flavours. I used dehydrated garlic, corriander seeds and dried onion to create a seasoning blend that can be used on steak, and chicken or in dry rubs and marinades. So, now we’re on a roll. Are you ready to take it to the next level? You know how we like our DIY projects at TNL. For a creative and thoughtful DIY gift, just head to the dollar store and pick up some pretty bottles for your new creations. No funnel? 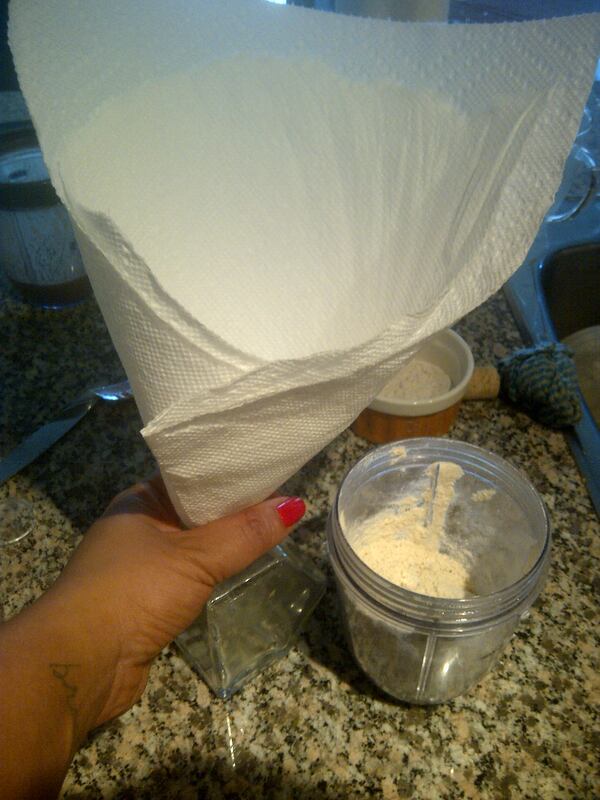 Use a paper towel like I did. These are just some of the ways that I have found to make use of my NutriBullet milling blade. Coming up with new combinations, and taste testing them is fun. What are you milling in your bullet? 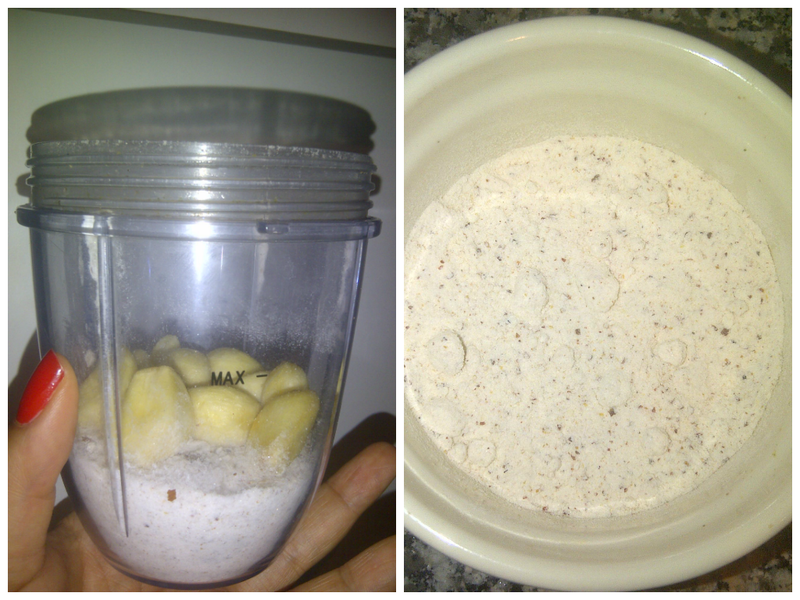 Can the nutribullet crush biscuits for slices etc. If so which blade? My Nutribullet didn’t come with a milling blade (didn’t know it was supposed to have one. Can l still grind with it? 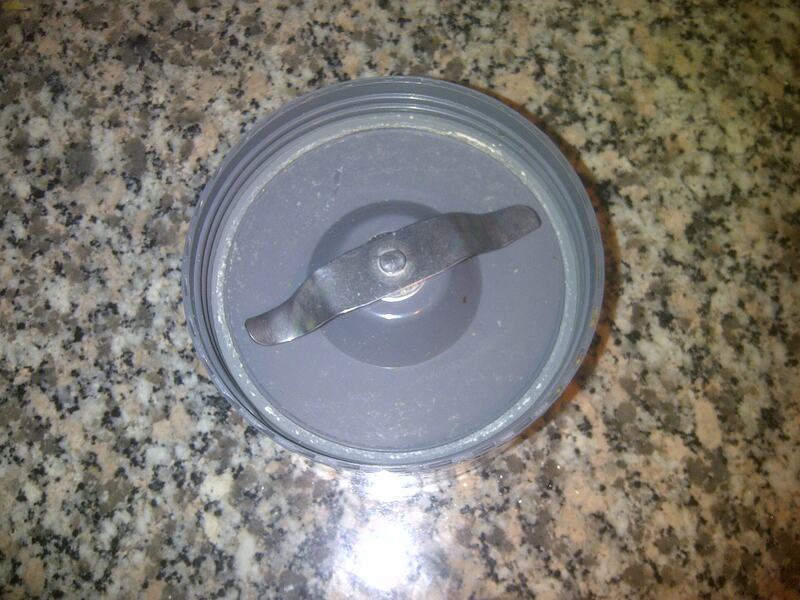 I didn’t know my Nutribullet was suppose to como with a milling blade. Mine didn’t come with it. Can l still grind onion and garlic? Is liquid necessary with the milling blade? Great article. My nutra bullet only came with one blade, though. Did you order a larger package or something?